Youngsters in the Highlands and Islands have been treated to performance of a new Gaelic language pantomime Seocan agus am Bogsa-ciùil (Seocan and the Accordion). 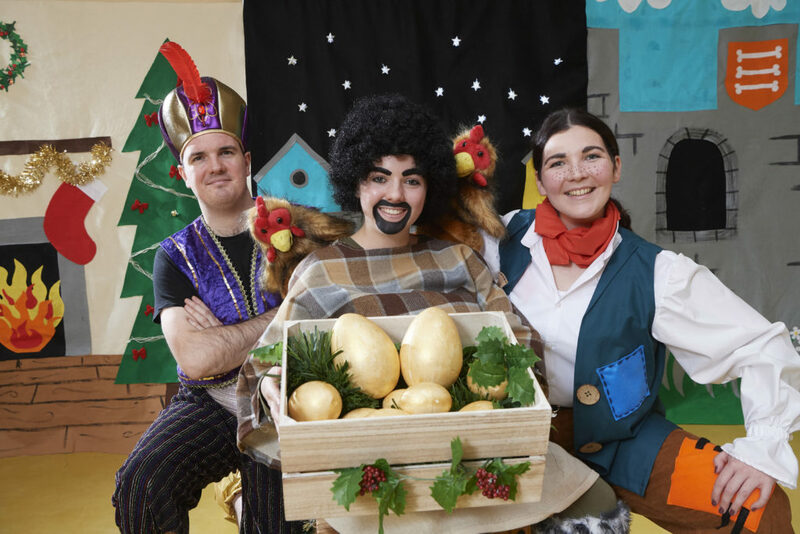 This is the 11th successive year that Fèisean nan Gàidheal has produced and toured a Gaelic language pantomime thanks to funding from Bòrd na Gàidhlig, Creative Scotland and HIE. The show kicked off in Acharacle and will end on Friday December 14, with 29 performances ensuring children in more than 40 Gaelic medium schools enjoyed the event. The panto features Iain Beggs, Megan MacLellan and Katie Hammond, and was written and directed by Angus Macleod, drama officer with Fèisean nan Gàidheal, who said: ‘The story follows the adventure of young Seocan, who in his efforts to earn some money for Christmas, encounters a helpful Highland genie called Fergie and the legendary but not-so-giant giant Murdanaidh Mòr. Brian Ó hEadhra, Gaelic arts and culture adviser with Bòrd na Gàidhlig said: ‘The National Gaelic Language Plan 2018-23 prioritises the using, learning and promotion of Gaelic and Fèisean nan Gàidheal’s new panto is a great example of putting this into action. The team is grateful for the support provided by Kirsten Brown (set design and production) and Laura Cowie (costumes). Musical direction was provided by Eilidh Mackenzie. Seocan is played by Megan MacLellan from Mallaig, who is well-known as a presenter on BBC Alba. Iain Beggs, from Barra, plays two roles – Seocan’s grandmother and a genie called Fergie. Iain is best known for his appearances in the drama series Bannan and the Gaelic sketch show Func. Mùrdanaidh Mòr is played by Katie Hammond, who hails from Coatbridge. In September Katie participated in Fèisean nan Gàidheal’s Dràma air Chuairt project, performing in a Gaelic play which toured the Highlands as part of the Blas festival programme.